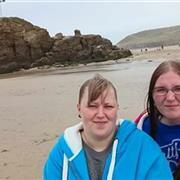 Other Info: We are a lesbian couple of 5 years both 30 yrs old. We would love to find a sperm donor to help us achieve our dream of starting a family together. We both come from big families but can't help but feel like something is missing from our lives. AI only. Please don't hesitate to send a message.